I also like the stylized font! The name is a pun on the phrase “与你说,” which means “talk with you.” 与 is a rather formal word that can be used in place of 和 or 跟 in many contexts. 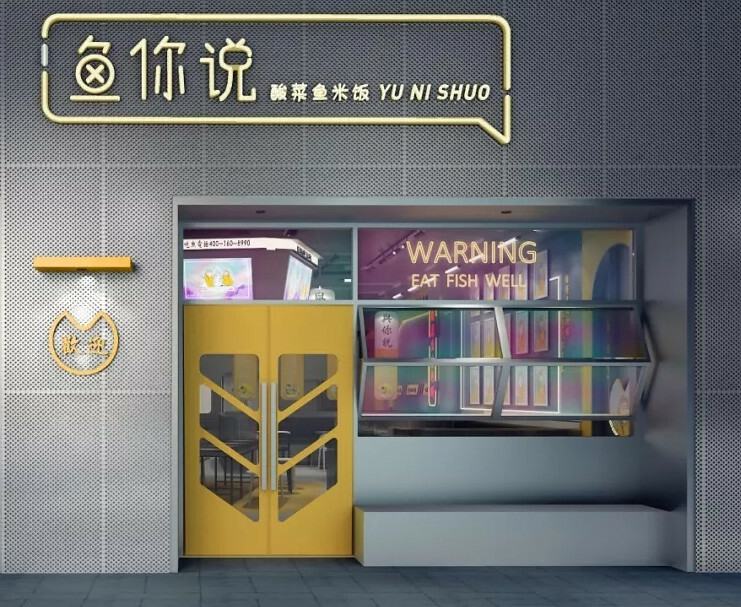 Although the pinyin for both the name and the phrase are “yu ni shuo,” actually 鱼 is second tone, while 与 is third tone. But 你 is third tone, which means that 与 is read as second tone, due to the tone change rule. So actually the two sound the same.